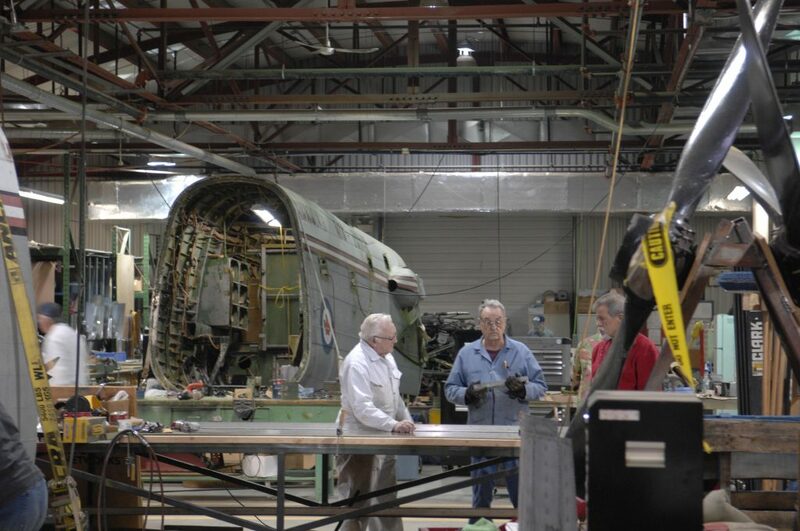 After the successful move of the Lancaster KB882 from Edmundston, NB in October 2017, the NAFMC immediately began our detailed planning for the Lancasters multi-stage restoration. Stage 2 of the restoration will be focused on the “internals.” Since July 1964, KB882 proudly stood outdoors in New Brunswick, honouring those who served in Canada’s Military. During her 53 year service to the community of Edmunston, KB882 sadly suffered from some indignities of souvenir hunters, vandals, and even the occasional ‘foraging’ by other museums. KB882’s interior has been literally stripped of all equipment/instruments/etc… that wasn’t physically and permanently riveted to her structure. This second stage of the restoration will be focused on returning KB882’s insides to the same immaculate state as her exterior. Some of this stage can be done concurrently with stage 1 but its main effort will be post-2024. After a thorough assessment of our resources and a comprehensive survey of the aircraft, we were able to lay out a plan that would best enable us to succeed at meeting the goals of Stage 1 of the restoration. As space on our restoration shop floor is one of our limiting factors, choosing which major components to work on at any one time is similar to assembling a very large jigsaw puzzle. We decided to begin with the 2 rear most fuselage sections as these units were in surprisingly good shape and their restoration would be fairly straightforward. Once these two sections are complete, they will be joined and then moved out into storage. 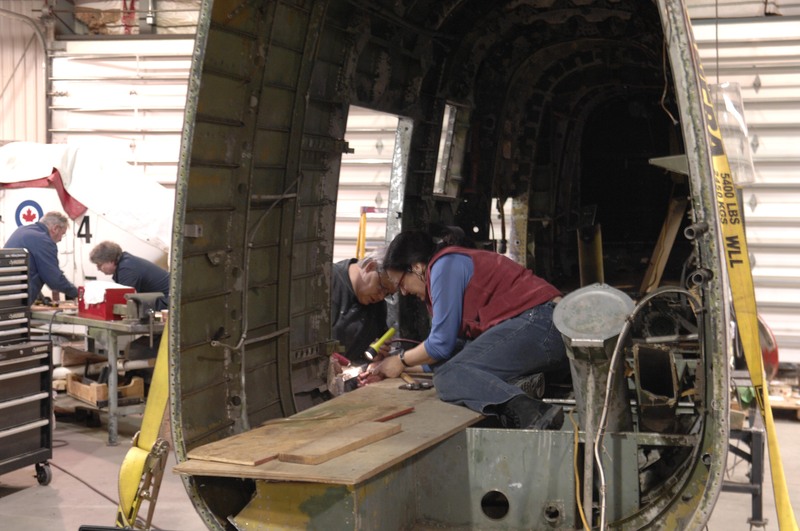 Following our plan, the process will continue with subsequent sections until all sub-assemblies are finished and ready for final aircraft assembly and painting. 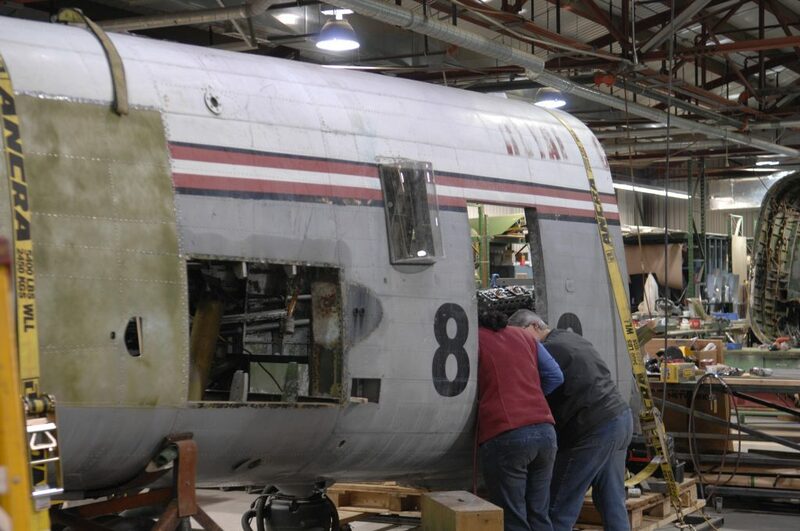 Throughout Stage 1 the four Packard-Merlin 224s will be lovingly cared for by a team of experienced engine mechanics in order to have them displayed once again in their rightful place on the wings of KB882. 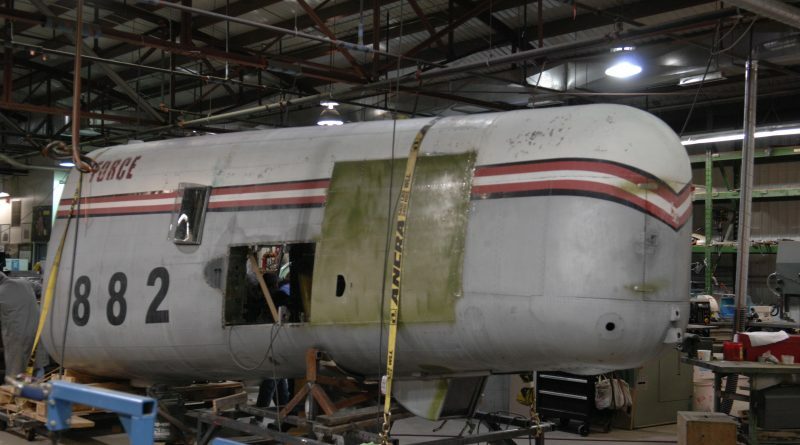 Thanks to our amazing team of volunteers we are already well into KB882’s restoration program and are currently on schedule to meet our 2024 goal. It is due to their countless hours of dedicated effort and meticulous attention to detail that the NAFMC is able to accurately represent our Nation’s story of air power. We are full of pride to have KB882 in our care and are looking forward to the day when she is once again on display proudly honouring the men and women who built, flew, maintained and now preserve the history and heritage of Canada’s Air Forces.